Distance is a Windows/Mac/Linux survival racing game from members of Team Nitronic that combines the intense action of arcade racing with the exploration of an atmospheric world. You control a unique car that allows you to boost, jump, rotate, and even fly through a chaotic and twisted city. The world has a mysterious history, and as you explore you'll be able to uncover pieces of its past. We launched a Kickstarter to allow players to get access to the BETA and be a part of development. This game won't be made without your help so be a part of the action by backing this game! New Additions: Linux support, split-screen, and a new tier! We’re excited to announce that Distance will officially be supported on Linux! We tested Distance using the Unity 4 beta, and we feel confident that we can safely bring Distance to Linux. You can read more about the Unity 4 Linux support by checking out their FAQ page here. For those of you who are Linux users, please help by reaching out to the Linux community and let them know that this game exists! On top of that, we're announcing the official addition of split-screen to Distance. We took the time to test it out because we believe it's something severely lacking from most racing games today, and we're excited to have it be a part of the action in Distance. Right now we're looking at 2-4 players, but we'll keep experimenting to see what works best for each mode. We've also been listening to your comments and we're adding a new tier to our Kickstarter campaign! 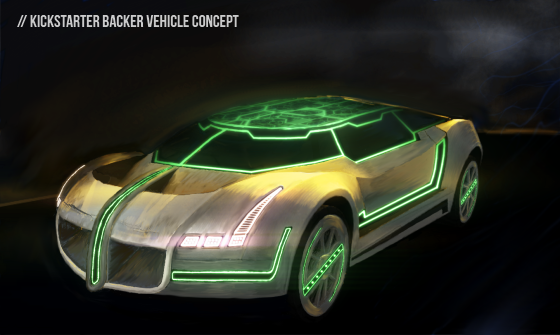 There is now a $35 tier for anyone who wants the backer vehicle but doesn't want two copies of the game. It will include everything at the $25 tier plus the backer vehicle. If you already pledged for something below $35 remember that you can easily bump up your pledge by clicking the blue "Manage Your Pledge" button on Distance's Kickstarter page. We realized that at all $70+ tiers you only get one copy of the game by getting all of the things in the $25 tier. We're bumping it up so that you'll be getting everything at the $50 tier, which means everyone $70+ will be getting two copies of the game and the backer vehicle. We also want to clarify that you'll always be able to get the game DRM-free! We're doing our best to get onto as many digital distribution platforms as possible, and we're doing well on Steam Greenlight so you’ll most likely be able to download it on Steam at launch. No matter what though, you'll be able to get a copy of Distance DRM-free direct download (like Nitronic Rush) if you prefer. Simply visit the Kickstarter page here: Kck.st to be a part of the action! Thanks so much! Not quite. 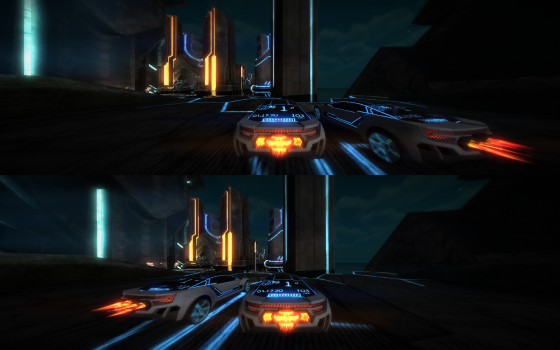 Distance is more of a spiritual successor to Nitronic Rush. The two games, while very similar, are completely separate from each other. Distance was never Nitronic Rush. Nitronic Rush was a project that Team Nitronic did while they were still at DigiPen IT. After they left the institute, some of the members of Team Nitronic and other teams formed Refract and are making this as their first game. WHAT THE **** THIS WAS UNITY?